Lead a team of tiny soldiers on a modern battle-field, fighting in some nameless but familiar war. 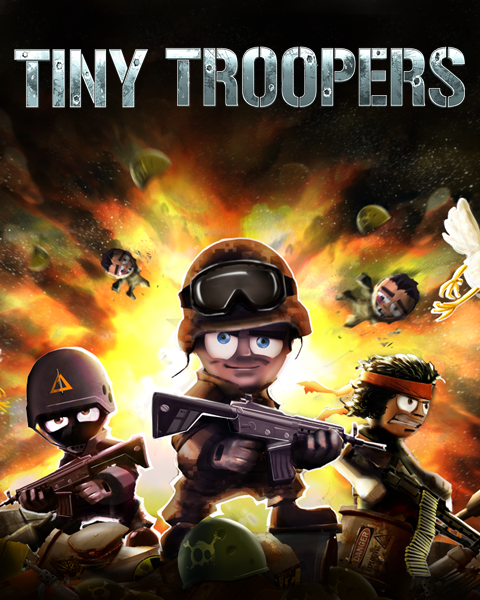 Tiny Troopers puts you in command of a team of small soldiers. Guide them through 30 deadly missions with varied objectives: destroy enemy armoured formations, save hostages and eliminate enemy generals, to name but just a few. Your troopers will face enemy infantry, snipers, technicals and even tanks. The casualty rate is going to be high but there’s an endless supply of fresh recruits to step up and fill the ranks. Those lucky troopers who survive from mission to mission will be promoted, and each new stripe they gain makes them tougher. To increase your troopers’ chances of survival, use Command Points to give them better equipment, reinforce their team with a specialist like machine gunner, medic or delta force and call in support drops during missions. War might be hell but this is the funniest way to fight in one! The 1.2 patch for Tiny Troopers. Is this going to be available for Android? This game is available for Android. looks like it needs work. obviously an expert. TF2 use the Source Engine, which everybody who is willing to pay for it can use in their game. i don't know where you seem to see TF 2 textures, the whole game got a completly different look. if at all the game reminds a bit of Foreign Legion (probably because of the same engine). it's a fun game, just a bit overpriced here on Desura. Looks good, shame about the demo.